Thomas Schick's tonearms have a well known and well regarded reputation amongst the Audio Illuminati. We are proud to be able to offer them to anyone wanting to be able to use any of the older lower compliance cartridges out there, like nice Ortofon SPUs, Denon 103s and others, although they can actually be used any cartridge up to a compliance of 22µm/mN. Thomas listens to a Klangfilm horn system with tube amplification and uses idler wheel or direct drive broadcast tables (EMT 950, Commonwealth 12D, Byer T19, Garrard 301.) 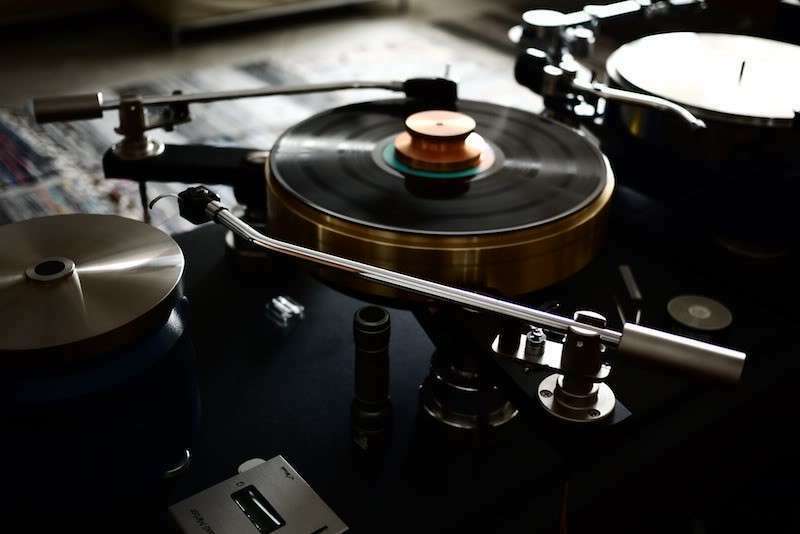 He developed his tonearm to meet a very specific need- he wanted an arm that could handle the classic heavy, low compliance cartridges like the Ortofon SPU, Denon 103 along with medium compliance designs, but with modern high quality bearings. People who use such classic cartridges have been forced to buy vintage tonearms, such as the Ortofons and the SME 3012, amongst others. Such vintage arms are often heavily worn. Even with NOS examples these arms do not possess bearings in the same class as those available to high tech industry today. By using super close tolerance (zero micron positive, 7 micron negative) high tech bearings designed for continuous use at 100,000 rpm, the Schick arm is in another class from its ancestors. Antiskating is not necessary on an arm of this length, and so Thomas has dispensed with it in his 12" arm. It is available on both lengths of arm if the customer wants to use it of course though. The Schick arm is really designed for using heavy cartridges, meaning those with VTF of at least two grams, and that also mitigates the need for antiskate. The Schick tonearm is really a 16" broadcast arm. The pivot to spindle distance is exactly 12". It comes in two versions, one shorter for the universal headshell or SPU G type, and one longer for the SPU A type square headshell. The armtube is aluminum, damped internally with a combination of materials. Thomas selected the material and damping methods for the arm by using his ears and doing many listening tests. Not by using a Cray Supercomputer- this is Old School. The rest of the arm is solid machined brass. A high quality arm lift in included, and VTA is adjustable via allen screws. The arm is terminated in flying leads with RCA connectors and a ground wire. 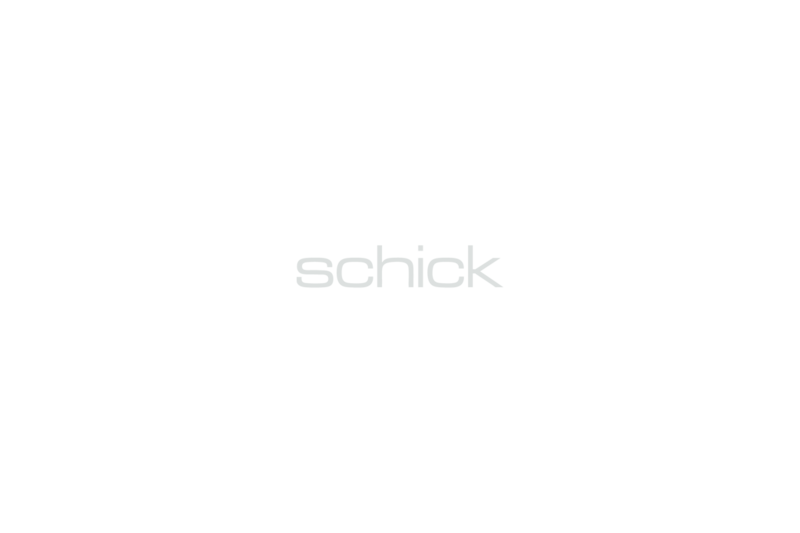 The new Schick arm is available in plated black, nickel or matte gold. The wiring has been upgraded as well. 2 versions are available: a 12" transcription length which is superb on Garrards, Thorens etc, and a 9.6" Version which can be used on most other turntables, and is in fact a direct drop in replacement for the EMT929. 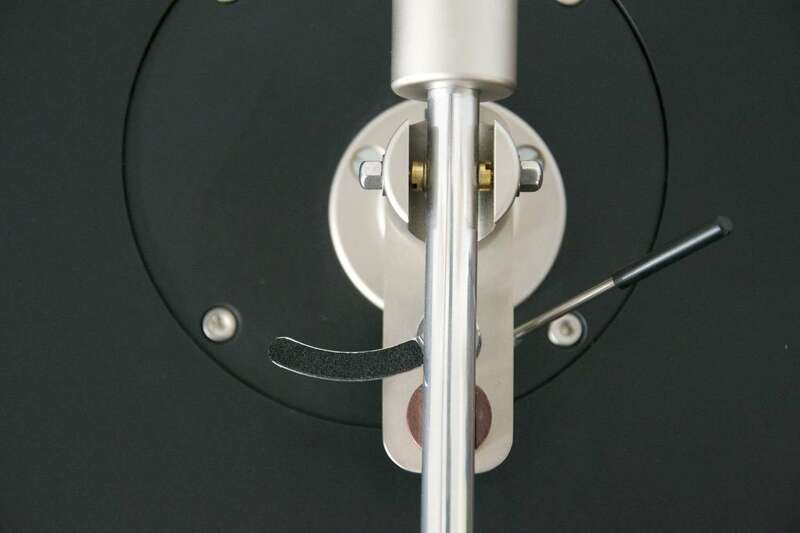 Both arms can be ordered in different lengths as well, one suitable for Ortofon SPU Type G mounting and also for the lucky few, in SPU Type A length. The Type A is used for EMT cartridges as well. You can order a Schick arm dedicated for mono playback as well.